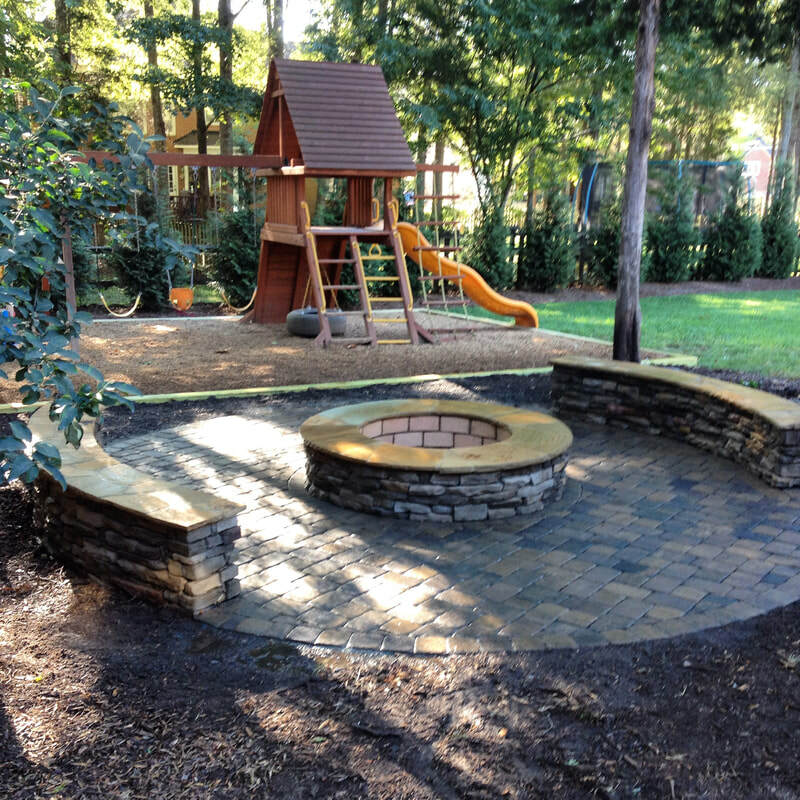 CHARLOTTE PAVER PATIOS - Charlotte's custom paver patio and outdoor living area site! Welcome to Charlotte Paver Patios! 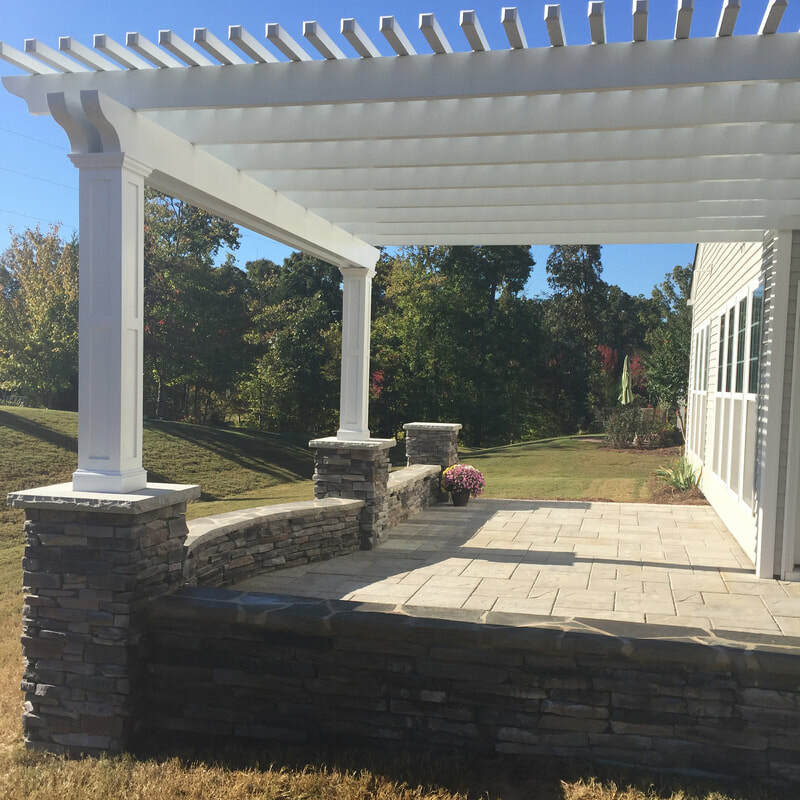 Whether your new patio or walkway is built with pavers or natural stone, We are positive that your finished project will add more value to your home and increase the overall look of your landscape. Since we consider our standards to be much higher than most companies, we are able to provide a 5 year warranty on most of our landscape projects. We may spend a little more money in the beginning on base prep, drainage, excavation & compaction but our system has worked for 20 years. TAKE A FEW MOMENTS TO LOOK THROUGH OUR GALLERY AND LET US KNOW WHAT YOU THINK!! 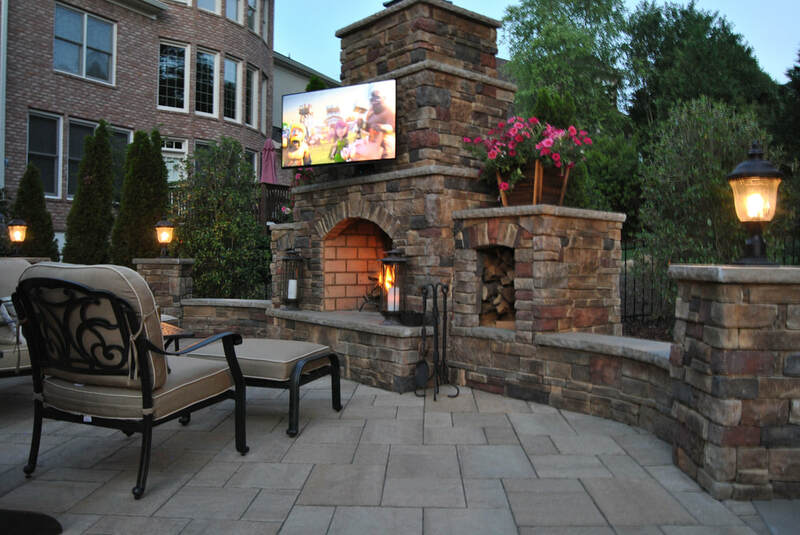 - Future outdoor living components: outdoor fireplaces, fire pits, outdoor kitchens, water features, retaining walls & outdoor lighting. - Proper drainage before project starts. This is the most crucial aspect of the patio project. - Future plantings and the preparation of shrub beds. - Accessibility - This would be for any mowers, vehicles, pedestrian traffic, etc. - Functionality - Do you really have enough room for the table, chairs, or BBQ grill? - Future utility needs - We provide access under all of our projects for future irrigation, landscape lighting, electrical, etc. - Ease of expansion - Since many of our clients will install their landscape project in phases, we will prioritize each phase so no finished area should be disturbed during future installations. Charlotte Paver Patios is a website of Fine Edge Landscape Design. We use this site in addition to our main site to showcase our paver patios and outdoor living areas in the Greater Charlotte area. Please visit our main site to see examples of all of our custom landscape design / build projects. Be sure to click on the "Outdoor Living Design Center " tab at the top of the page to learn more about our retail design center/ bulk landscape supply yard.